Since the start of the program in 2009, more than 165 EY employees from across the Americas have participated in Earthwatch expeditions. Since 2012, EY has sent three expeditions to countries in Latin America. In 2015, two expeditions went to Serra do Itajaí National Park in Brazil to support the strategic planning of a local eco-friendly hotel and an environmental consultancy company. They also gathered data on several bird species. 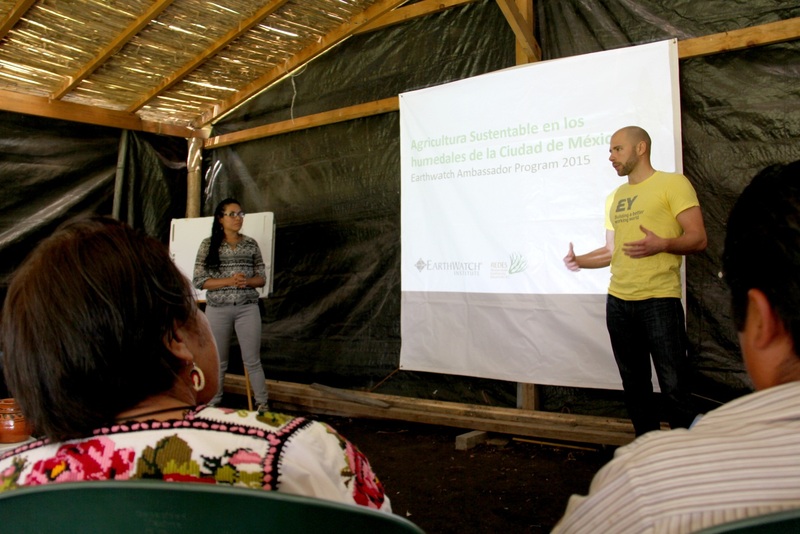 The third expedition went to Xochimilco, Mexico to support local farmers in assessing the viability of sustainable farming methods and to collect water quality data throughout the wetlands. Since 2017, EY has added another location. EY employees fielded on an expedition to the Amazonian rainforests on northeastern Peru. There, in addition to helping survey the area’s wildlife to develop conservation strategies, they also focused on improving business skills for two non-profit conservation organizations ran by local staff. 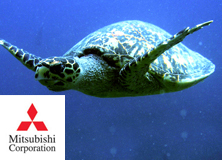 These organizations provide logistical services for student and research boat-based expeditions, manage a hotel and also several museums including a Museum of Indigenous Cultures. Read about the EY-Earthwatch Ambassadors Program in Accounting Today or hear directly from one of our Ambassadors in her Earthwatch Unlocked blog. EY-Earthwatch Ambassadors in Mexico presenting their findings related to sustainable farming methods to local entrepreneurs. Our collaboration with EY provides its employees an opportunity to broaden their global network and mindset, to strengthen their teaming and leadership skills and to help their overall professional and personal growth. Participants consistently return to their home offices integrating their experiences into their daily behaviors and careers, whether sharing their Earthwatch experience with colleagues, training colleagues on business practices, or becoming involved with the organization’s Climate Change and Sustainability Services (CCaSS) work. Since the start of the program in 2009, more than 165 EY employees from across the Americas have participated in Earthwatch expeditions. Since 2012, EY has sent three expeditions to countries in Latin America. In 2015, two expeditions went to Serra do Itajaí National Park in Brazil to support the strategic planning of a local eco-friendly hotel and an environmental consultancy company. They also gathered data on several bird species. 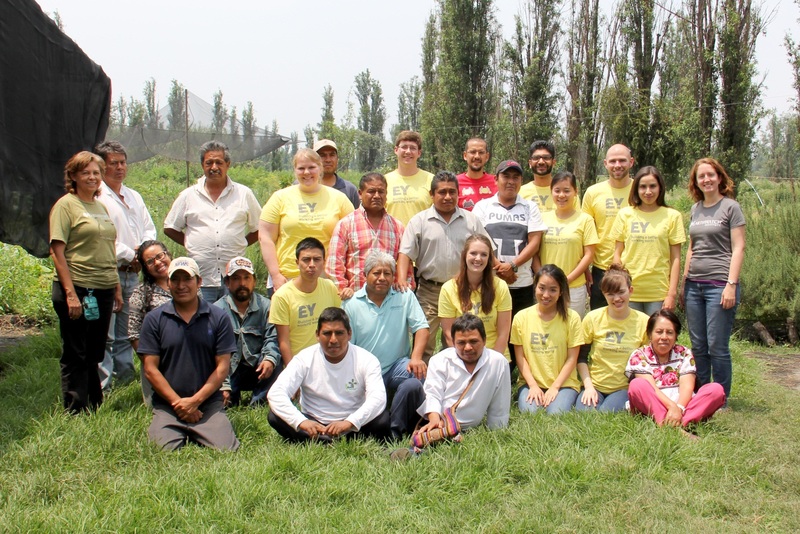 The third expedition went to Xochimilco, Mexico to support local farmers in assessing the viability of sustainable farming methods and to collect water quality data throughout the wetlands. Read about the EY-Earthwatch Ambassadors Program in Accounting Today or hear directly from one of our Ambassadors in her Earthwatch Unlocked blog. Additionally, in 2012, EY supported Earthwatch in the creation of the Earthwatch Urban Forest Program in cities such as Boston, San Francisco, Chicago and Atlanta. This one-day program is part of the firm’s annual day of community service, EY Connect Day, and it is designed to ignite awareness among EY employees of the sustainability of urban forests. 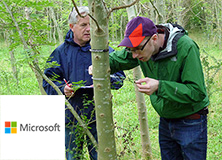 Volunteers produce meaningful scientific data that is used by local authorities and researchers to improve green space in our cities. In 2014, around 12,000 EY employees logged more than 80,000 volunteer hours and celebrated EY Connect Day in 60 locations across the Americas. The Americas Earthwatch Ambassadors Program’s focus on environmental sustainability doesn’t end when the expedition teams return to EY. 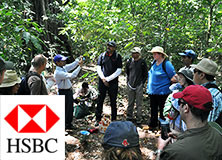 Participants continue to integrate their experiences and incorporate environmental awareness into their daily behaviors and careers, whether training colleagues on business practices, sharing their Earthwatch experience with others, or becoming involved with the organization’s Climate Change and Sustainability Services (CCaSS) work. Ambassadors are often active in the communities in which they live and volunteer with local non-profit organizations. 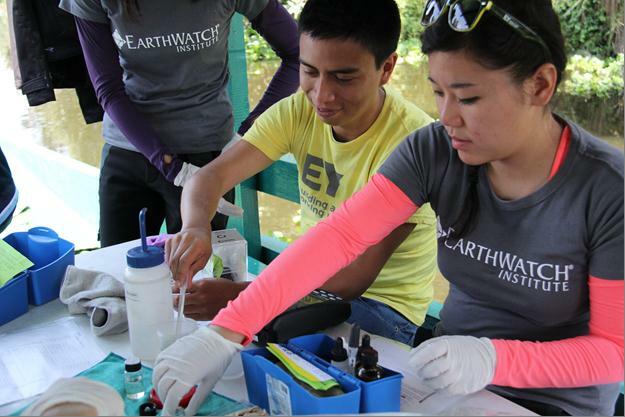 Since the start of the program in 2009, more than 160 high performing and early-career EY professionals from across the Americas have participated in Earthwatch expeditions. Findings are shared with the local governments and used to improve the health of regions’ ecosystems.